Wow, what a long day. A doubleheader plus a rain delay say we played a lot of baseball yesterday. Fortunately, we came away with the sweep. One day. Two games. Two wins. It doesn’t get much better than that. And we won both within nine innings to boot! Ellsbury doubled in the first and scored on a sac fly by Pedroia. 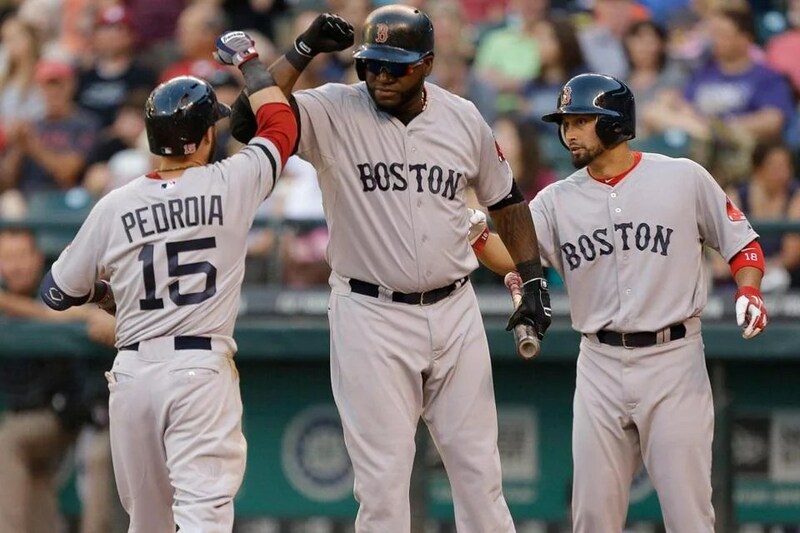 Ellsbury and Victorino led off the third with back-to-back singles; both scored on a single by Papi. With one out in the fifth, Victorino reached on a throwing error and scored on a single by Papi. Ellsbury tripled in the seventh and scored on a triple by Victorino. I’ve said this many times before, but for someone who doesn’t see regular pitching time as a starter, he sure did look like a great starter up there. Aceves pitched five innings of one-run ball. He gave up three hits and three walks while striking out two. He issued two consecutive walks in the second, and then one of them turned into a run thanks to a single. Other than that, he was solid. Tazawa pitched the sixth, Miller pitched the seventh, Uehara pitched the eighth, and Breslow pitched the ninth. We won the opener, 5-1. Nava began the nightcap with a bang, hitting a solo shot with one out in the seventh past the fence in right center field; it was a bad slider. And Doubront managed to completely top himself. This, by far, is probably the best start that I have seen from him. Ever. Seriously. 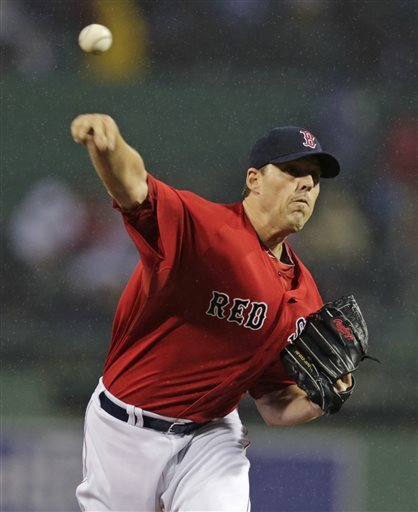 The likes of Lester and Buchholz would be fortunate to have a start that comes close to how good this was. I saw it with my own eyes, and I am still marveling at it. He looked absolutely spectacular. And the best part about it was that he looked like it was just a walk in the park. Felix Doubront held onto a one-run lead in a one-zip game. Eight shutout innings. If he had pitched one more inning and not given up three hits, he actually would have had himself a perfect game. It was absolutely amazing. 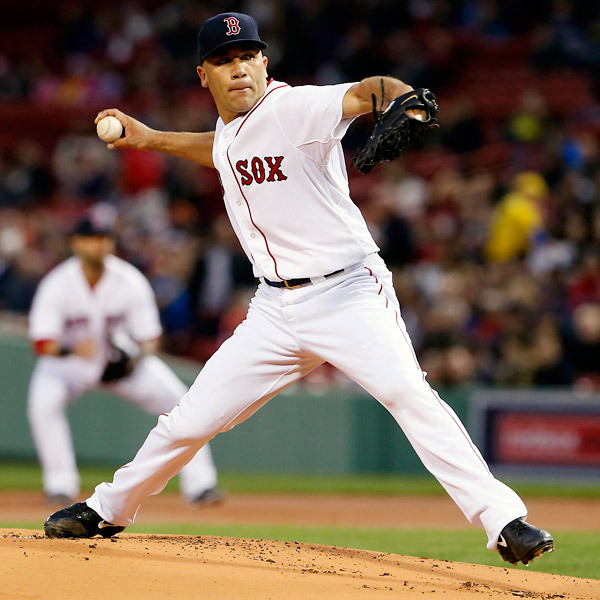 In fact, Doubront should have continued pitching. Bailey came in, and what happens? He gives up a solo shot on his second pitch, tying it up at one. It was absolutely cruel. Because in the bottom of the ninth, Nava walked, and Gomes hit a whopping homer toward the Monster on the only pitch of his at-bat. It was a walkoff. There was a mob at the plate. It was a thing of beauty. Except for the fact that Bailey was credited with both the blown save and the 3-1 win. The injustice in that is epic. Bailey was the one who put us in the position of needing a walkoff in the first place. And as fun as it turned out to be to watch Gomes seal the deal, it should not have been necessary. 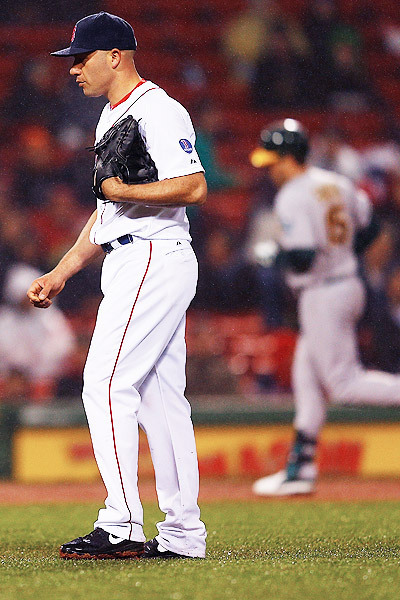 And Doubront, who would have been perfectly happy winning a one-zip game, now has no decision to show for it. In other news, the Bruins lead the series, two to one, thanks to a two-zip win! Well, that wasn’t great either. I seriously did not think that we would end up losing our first series at home, and to Baltimore no less. Actually, we ended up losing our first series of the season. I suppose it would have happened eventually. But it’s always nice to clean up when you’re first at home. Aceves was tapped to make the start today. And he actually turned in a quality outing. Seriously, it was quite good. He pitched five innings and gave up two runs on six hits while walking three and striking out four. He gave up a solo shot with one out in the second. And he gave up a single, a groundout that moved the runner to third, and an RBI single in the fifth that tied the game at two. In addition to the home run, Aceves gave up two doubles, so half of the hits he gave up were for extra bases, and half were singles. All in all, not too shabby. Mortensen pitched a one-two-three sixth and recorded the first two outs of the seventh before allowing a single. He was then replaced by Miller, who issued a walk and was replaced by Uehara, who allowed the winning run thanks to a double. Tazawa came on for the eighth and got through it just fine. And Alex Wilson pitched the ninth. Meanwhile, our hitters were busy making sure that we’d lose the series. Ellsbury led off the first with a single, but we then went down in order. We went down one-two-three in the second. And we finally got on the board in the third. Drew, fresh off the DL, walked on five pitches. 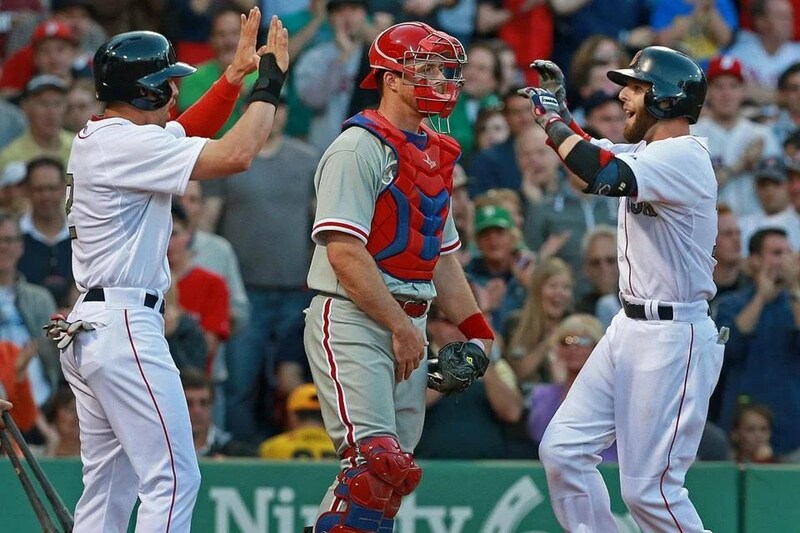 Bradley and Ellsbury provided two quick outs, but then Victorino, Pedroia, and Napoli combined for back-to-back-to-back singles, the latter two of the three plating our only two runs of the game. Unfortunately, Middlebrooks killed the rally by grounding out. Drew walked in the fourth, but to no avail. We went down one-two-three in the fifth. We had two on base thanks to two singles in the sixth, but it amounted to nothing. Victorino singled in the seventh, but it also amounted to nothing. We went down one-two-three yet again in the eighth, and despite Drew’s single, we ended up losing, 3-2. In other news, the Bruins lost to the Isles, 2-1.